You might’ve caught the art installation Tennis Swing at the National Museum during the Singapore Night Festival a few months back. If not, no worries, it’s travelling around the city before settling down at the Fan Zone during the WTA Finals. 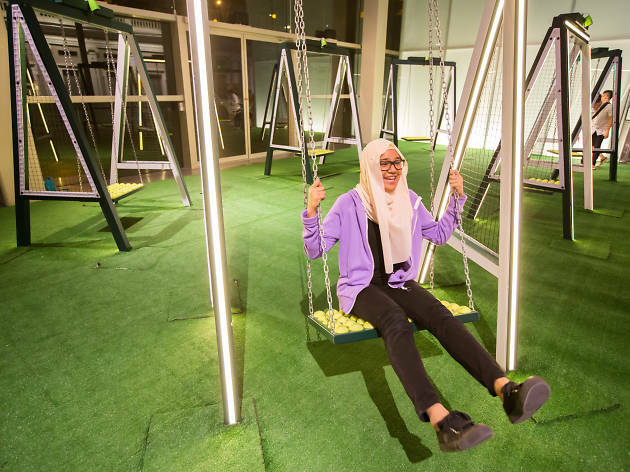 Created in celebration of the tennis tournament, the installation comprises six LED swings from which you can experience what it’s like to be a tennis ball – you’ll hear the ‘pock’ of the ball being hit by a racket while you swing. Various venues, including Marina Square.